Looks like next week I may be signing an android developer book author contract. Probably Android3d with a follow up book on either Android NDK or Agile Android Patterns. Should be fun. For those using or moving towards using Groovy’s Gradle for builds, the Gradle-Android plugin has been updated to Gingerbread SDK by the project lead. 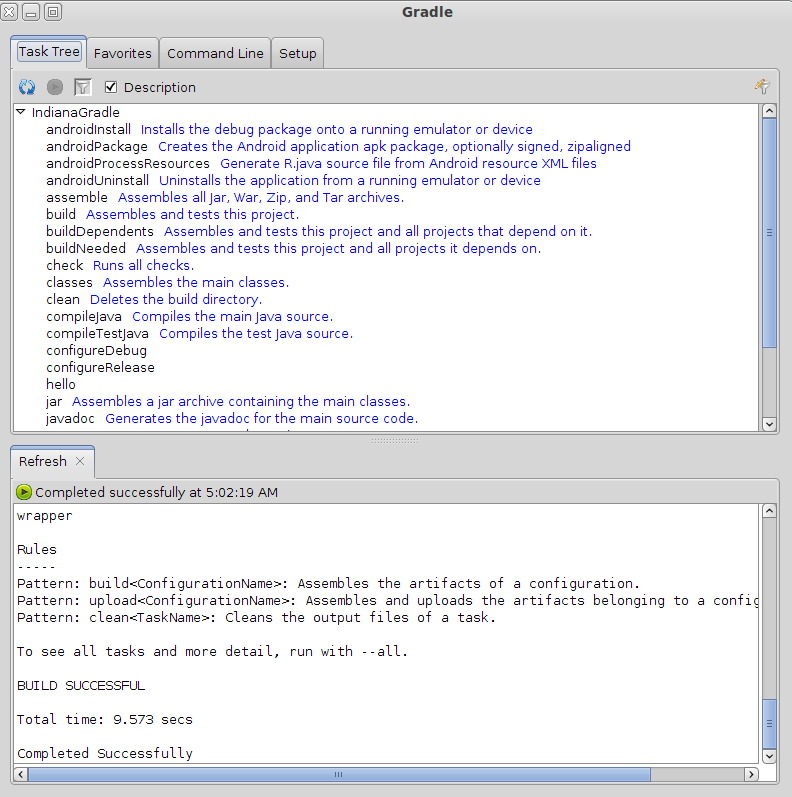 Its gradle requirement is Gradle 0.9.1.